Curious kids try to get into anything and everything, but the Safety 1st OutSmart™ slide lock helps you keep them out with the first ever decoy button. 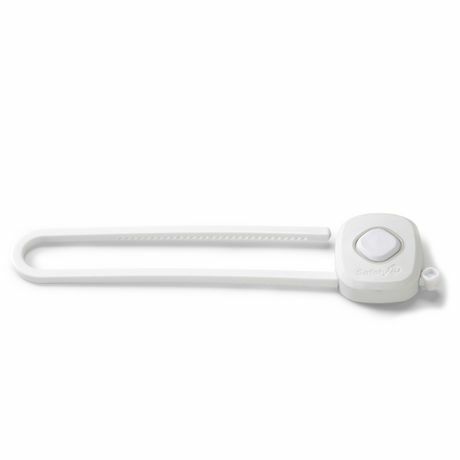 Your child will think that the decoy button opens the lock, but pushing it has no effect. 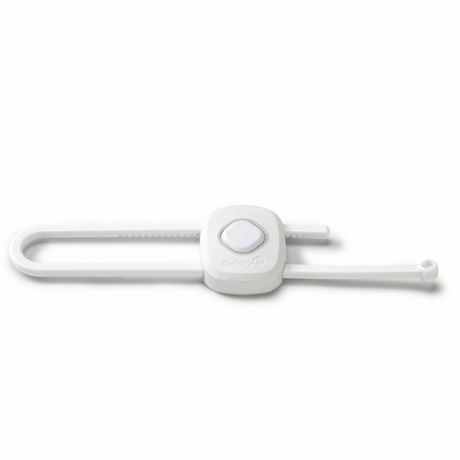 You’ll know that the flexible surface hides the actual secret to opening the lock. 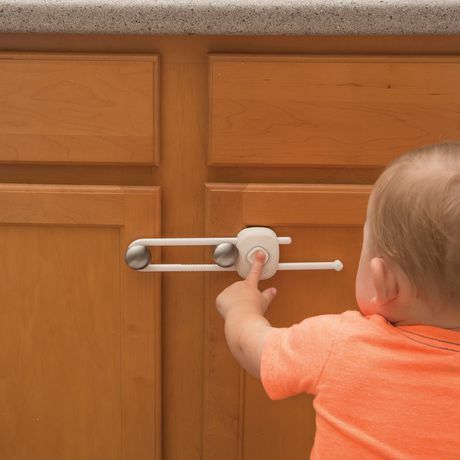 This cabinet lock prevents your little explorer from getting into side-by-side cabinets and can be used on cabinets with large knobs or handle pulls. 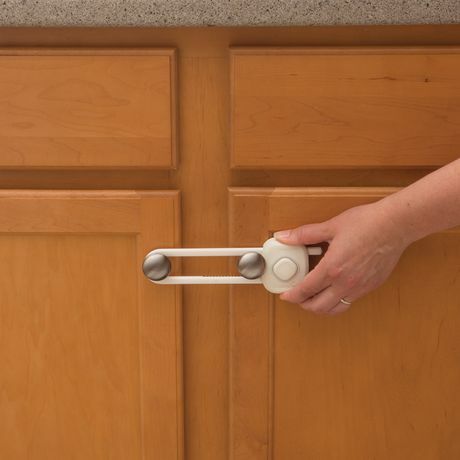 It installs easily with no drilling required and you only need one hand to operate. 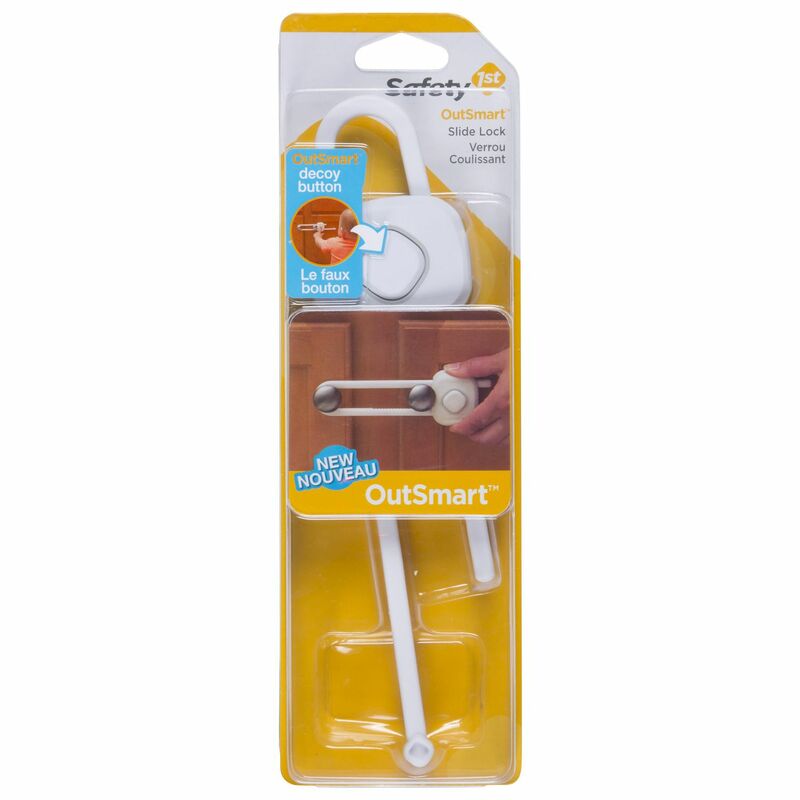 The OutSmart Slide Lock is designed to work with hardware up to 4.5″ apart.